This action-packed high ropes adventure course is a great attraction for people of all ages. 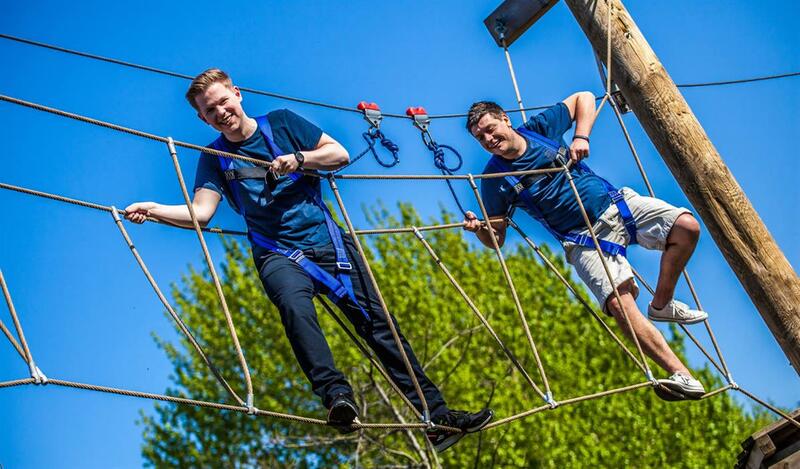 Take each of the challenges head on as you work your way around the 34 obstacles including rope bridges, scramble nets, balance beams, swinging logs, a climbing wall before taking the plunge at the end with the exhilarating 30 foot leap of faith. No experience or skill is required, just a willingness to have fun. Once connected by the instructors to an overhead safety line, that’s it! You remain connected throughout the course allowing you to concentrate on having fun. Altitude is open weekends 11am - 4pm (plus every day during the School Holidays).